If you live a minimalist life, it’s probably the simple things that bring you pleasure. From a subtle grey wall to a piece of furniture that is multi-functional, being a minimalist is all about the whole, “less is more” motto. So, if that sort of lifestyle speaks to you, you probably appreciate downsizing your home in any way possible – even when it comes to your appliances. With a Bosch compact washer and dryer, you can now do laundry quickly and efficiently without taking up a lot of space. Check out these great reasons why your inner minimalist dreams will come true after using a Bosch compact washer and dryer. The Bosch Compact laundry pairs are each 24 inches, making them much smaller than your average washer and dryer. Because of their condensed size, you can fit them almost anywhere in your home! 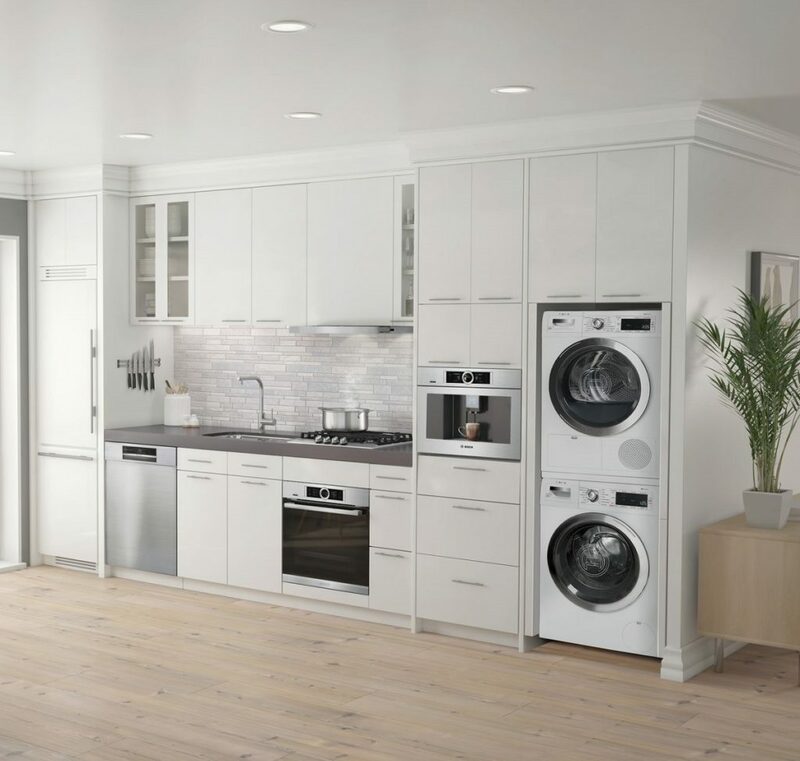 If you have a tiny place, these laundry appliances will be the perfect addition and will never make your home feel cramped. Not to mention, they can also be stacked on top of each other, giving you even more possibilities. If you have minimalist tendencies, you probably like to stay organized, especially when it comes to your home’s upkeep. With the Home Connect App, you’ll not only be able to keep an eye on your laundry cycles from afar, you’ll also be able to start a wash or dry cycle with a quick touch of a button on your phone. You’ll also find that having the Home Connect app on your phone can help you keep up with your daily chores, so you don’t fall behind. For example, instead of forgetting about your clothes after running them through a wash cycle, your phone will now be able to notify you when your clothes are done! You can say goodbye to stale smelling clothes that have been left in the washer too long. This app is simple and functional, which is exactly what the minimalist doctor ordered. One big trait of a minimalist is disliking waste. Luckily, these Bosch appliances do too. A Bosch compact washer and dryer are more than just fashionable appliances, they’re also made for a good cause. 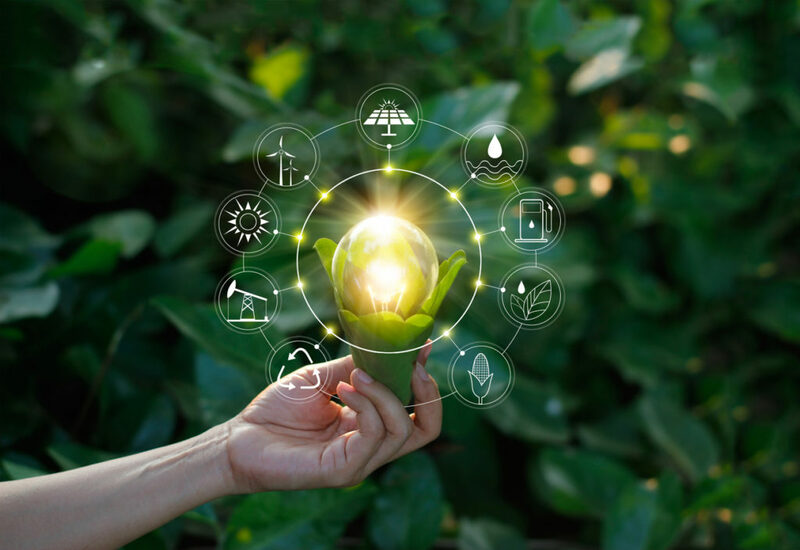 From the Eco Perfect Cycle that reduces energy consumption by adjusting the temperature, to being one of the few Energy Star qualified dryers on the laundry market, you’ll find that these appliances are more than just good looks – they’re the full eco-friendly package. When it comes to style, you can never go wrong with a Bosch appliance. It’s where simplicity, functionality, and efficiency meet, making any Bosch appliance a logical choice for a minimalist. And if you need help finding the perfect one for you, speak to one of our friendly and expert sales associates to guide you on the right path.